Questions? Please click over to the FAQ for answers to frequently asked questions. Watch this video to see why EntryThingy is the better digital call for entries, management and jury system. 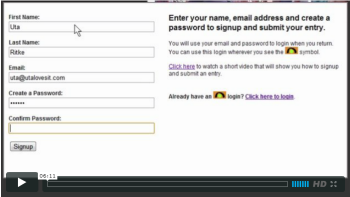 Watch this video to see how to setup an EntryThingy account and get started with your call for entries. 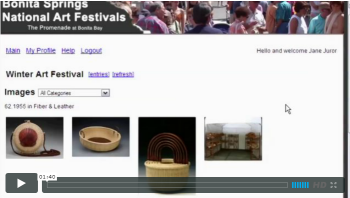 Watch this video to see how to add an entry as an entrant. 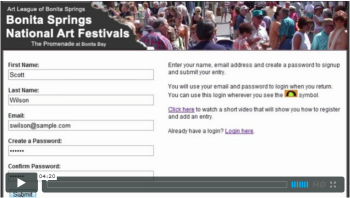 You'll see how to register with your email and a password, add your contact information, view the entry instructions, start an entry, upload images and submit the entry. Watch this video to see how to jury a call. It shows both the online and offline juries. You'll see how to get an overview of all the entries, view the entries, details of images and vote for an entries. 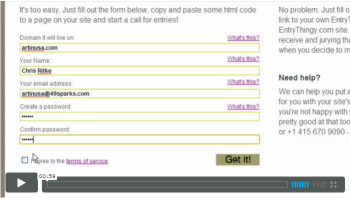 Watch this video to see how to add and manage your call for entries as an administrator. You'll see how to add a new call, view your entries in a list or image wall, filter your entries, view the details of an entry, view and change an entry's status and much more. 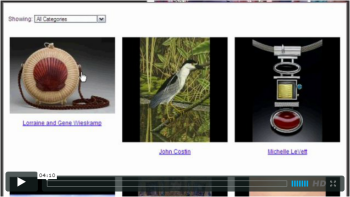 Watch this video to see how to setup and grab the code for an image gallery of your accepted entries that you can then put on a page on your site. It's the easiest way to show the world your accepted entries! 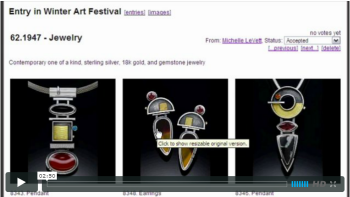 Watch this video to see how yoou can review your entries, edit your profile, manage your artwork, share galleries and a website. Also: select from artwork you've added to you Artwork Management account to easily add to entries in EntryThingy! 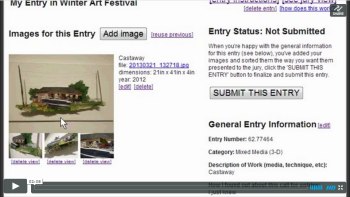 Watch this video to see how to add a call for entries. It goes through all of the options including the status, instructions for entry, instructions for entrants after submitting an entry, terms of entry, deadlines, image requirements and jury settings. 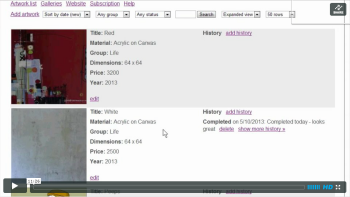 Watch this video to see how to turn on multiple views per piece and how it works for entrants. 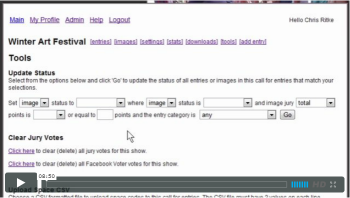 Watch this video to see all of the cool things you can do with entry and image statuses, voting categories, voting and email alerts. Watch this video to see how to manage and add admin and juror notes and show juror notes to entrants. 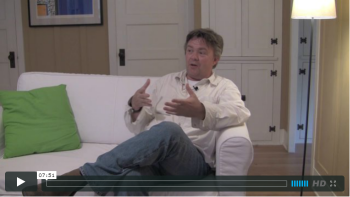 Watch this video to see how the image gallery looks on a smart phone like an iPhone or Android. The founder of EntryThingy talks about his passions and EntryThingy.